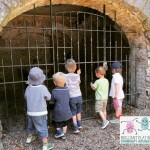 Mini Explorers Club is a drop off club, perfect for preschoolers (3-5 years) who are ready for a little bit more independence and connection with the natural environment. 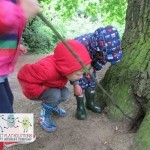 Adventures are waiting to be had, friendships made and little imaginations engaged in the great outdoors, facilitated by our play team who are experts in outdoor play. 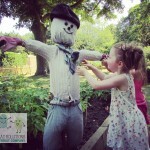 All adventures are enhanced by games, stories, crafts, dressing up and other portable play elements to maximise the fun. 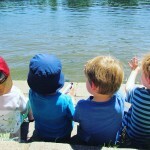 Adventures will be primarily child led and supported by the play team who are experts in children’s play. 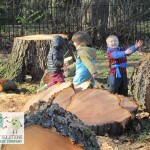 At Brilliant Play we believe that high quality play opportunities are extremely important for children. 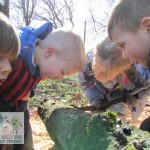 We pride ourselves on blending our extensive knowledge of play theory, child development and rich play environments to provide experiences that are tailored to the children accessing them. Play is essential for children in order for them to grow and develop, it enhances physical and emotional well being, promotes creativity and critical thinking skills as well as providing plenty of practice for establishing social skills and resilience. Playing outdoors has multiple benefits for children’s holistic development helping them to flourish in to happy little people! Just as we don’t unpeel the petals of a rosebud to see the flower in bloom we can’t ‘teach’ or rush children’s development. 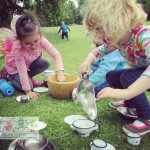 Play allows children to ‘unfold’ their skills at their own unique pace. 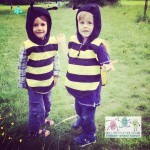 We are very excited to be partnering with East Twickenham’s newest nursery to provide our unique nature play sessions. Our team will greet your child at the ETNA Centre where we will help them get in to their outdoor gear ready for their session. Please provide a packed lunch for your child. Collection for this group will be from the car park in Marble Hill Park at 2.20pm. 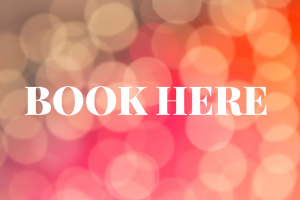 Sessions are pre booked by the half term (£16.00 per session). please contact us directly to arrange drop ins. To find out more about the Rosslyn Nursery and Pre School click the link above or contact them here.